There are two artists called Lucky Pierre: 1) Kevin McMahon's band 2) Aidan Moffat's solo efforts - - - - - - - - - - - - - - - - - - - - - - - - 1) Lucky Pierre is a long running band from Cleveland, Ohio that consisted of: Kevin McMahon (vocals/guitar), John Guciardo (lead guitar), Brian Dempsey (drums), and Dennis DeVito (bass). In late 1978, Guciardo & Dempsey left the band. Drummer Dave Zima and Bassist Tom Lash were added and DeVito switched to lead guitar. 1) Lucky Pierre is a long running band from Cleveland, Ohio that consisted of: Kevin McMahon (vocals/guitar), John Guciardo (lead guitar), Brian Dempsey (drums), and Dennis DeVito (bass). In late 1978, Guciardo & Dempsey left the band. Drummer Dave Zima and Bassist Tom Lash were added and DeVito switched to lead guitar. McMahon then went on hiatus until 1988, when Lucky Pierre recorded the Communiqu? EP with Guciardo and Zima making guest appearances. 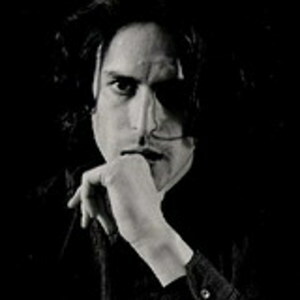 The 1988 line-up of Lucky Pierre included Trent Reznor (then of the Exotic Birds, later of Nine Inch Nails), and was managed by Exotic Birds/NIN manager John Malm, Jr.. Lucky Pierre disbanded again after the recording of Communiqu?, but Kevin McMahon remained in contact with Reznor and Malm, later releasing an album under the artist name Prick. After McMahon was dropped from Nothing Records,the vanity label Reznor and Malm created, he self released another Prick album before releasing an album in 2004 under Lucky Pierre entitled 'Thinking'. 2) Lucky Pierre or L. Pierre, is the name under which Arab Strap's lead singer Aidan Moffat .In 2002, after apparently being challenged by Malcolm Middleton to release a solo album, Moffat released a solo album entitled Hypnogogia under the name "Lucky Pierre". In 2005, after changing the name to "L. Pierre", Moffat released an album called Touchpool.At the end of 2005 he also released the single 'I Hate T-shirts That Say 1977' together with rapper Notes. His latest solo album was released in 2007, and is entitled 'Dip'. Aidan now performs/releases records as Aidan John Moffat.